Auto repair shops are a growing and low-risk opportunity for buyers, sellers, and owners. Cars break down, it happens. With 88 percent of U.S. households owning a car, it actually happens to the majority of us. When it does, 75 percent of car owners utilize an auto repair shop for repairs, as opposed to a dealership. If those statistics make it sound like an auto repair shop is a worthwhile business to consider, it’s because it is. Since 2012, auto repair shops have grown at a consistent 2.6 percent rate, bringing in $64 billion in total U.S. revenue during 2017 alone. While this growth stems from numerous economic factors, a large influencer is the increased lifespan of cars. Thanks to advancements in automotive technology, the average lifespan of a car is currently 11 years, a 3 year increase from 1995. Regardless of car performance in terms of lifespan, owners are simply keeping their cars longer. The average length of vehicle ownership has increased 60 percent over the past decade. And, more years on the road means more years for repairs. Not only is the car maintenance industry growing, it’s also shown to be a low-risk business during economic downturn. Considering cars are viewed as essential rather than luxury, items that American households depend on for work transportation, car maintenance and repairs are not expenses that usually get thrown to the wayside during a bad economy. Whether you’re thinking of buying, operating, or selling an auto repair shop, here are important factors to consider. Due to the reasons mentioned above, there’s no shortage of auto repair shops on the market. In fact, there were 258,416 repair shops operating at the outset of 2018. However, that number shouldn’t deter your interest in this sector, it should reinforce it. Standing out among the competition as an operator or buyer can be challenging though. As many local and small businesses do, auto repair shops depend on customer reviews for success. Utilize and capitalize on Google, Yelp, and Angie’s List reviews to bring in additional foot traffic and differentiate a shop from the competition. Encourage and incentivize customers to leave a review on reviewing platforms and on social media after they’ve had a good experience and ensure you respond professionally and positively to negative feedback. Independently owning or running an auto repair shop allows freedom to determine prices. Run temporary special pricing to bring in new business and research competitor pricing for an indication of how much services cost in the area. While you want to remain profitable and set realistic standards for services, introducing competitive pricing at the beginning is an easy way to separate a shop from the competition. The type of services an auto repair shop offers is the ultimate factor when predicting profitability and is one of the most obvious ways a customer base weighs up their options. Before identifying what services you’ll offer, it’s important to comply with legal regulations. Most owners also work in their shops, meaning they need to be certified mechanics. Plan to receive an Automotive Service Excellence (ASE) certification and only hire other mechanics with the certification as well. Not only will this ensure that the staff is properly trained to provide services but will also give the shop credibility among customers. What will your shop do? Some auto repair shops are exceptionally specialized, focusing on repairing only Toyota or Volvo models, or only servicing transmissions, for example. While this is an easy way to separate yourself from nearby shops, it also limits the number of customers you can hope to serve. Deciding whether or not to offer general mechanical services or services tailored to a specific audience is entirely a personal choice, and both have their own advantages and disadvantages. 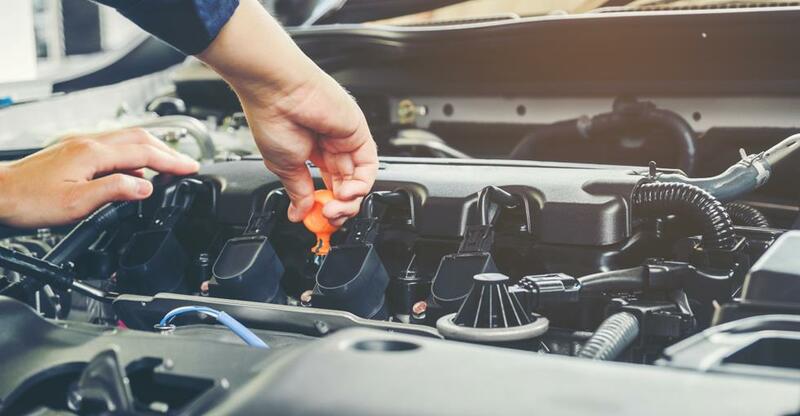 As a safe, middle-ground option between capturing customers and differentiation, some auto shops offer general mechanical services on top of specialized services that other competitors don’t have. While entirely dependent upon your staff’s skills, being the only one in an area to offer custom alarm installation, for example, could be a large selling point. When it comes to car maintenance and repair, customers aren’t always looking for the cheapest option. More often than not, customers are willing to spend more money to ensure they and their passengers are safe. A primary way customers and prospective buyers determine a shop’s reputation are by its appearance. While fixing cars inevitably leads to the occasional smear of grease or puddle of oil, you can ensure the parking lot, shop, and staff are as clean and orderly as possible, with certifications clearly displayed. Anything that looks less-than-ideal will discourage customers from putting their main mode of transportation in your hands. For many customers, choosing an auto repair shop is similar to choosing a convenience store. All other things being equal, whatever is closest is the best option. A location in a busy residential or commercial area will likely bring in a larger volume of people than one further from their home or work. The auto repair industry is an exceptionally lucrative business sector with consistent growth and ample opportunity for expansion. If you’re interested in buying or selling an auto repair shop, check out the latest listings to see what’s available.